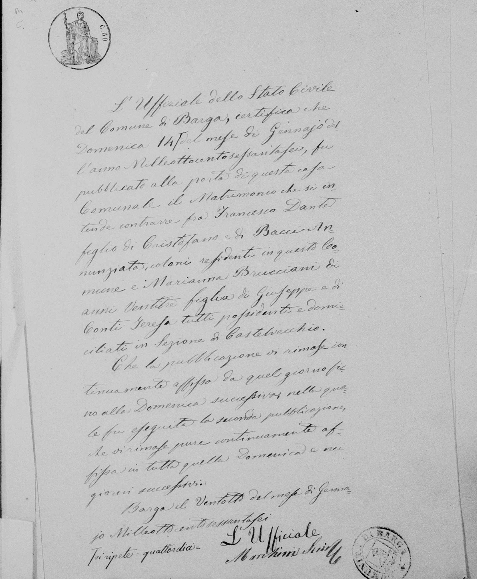 Our associationwith this well known Italian family are via Ermenia Quilietti who married her first-cousin Pietro Dante in Rhode Island 1900. 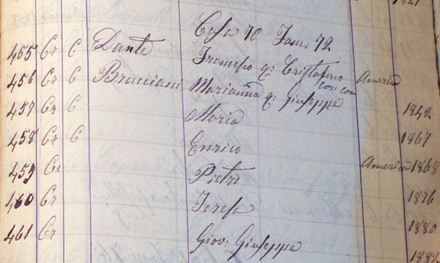 Their mothers were both sisters, Brucciani being their surname. 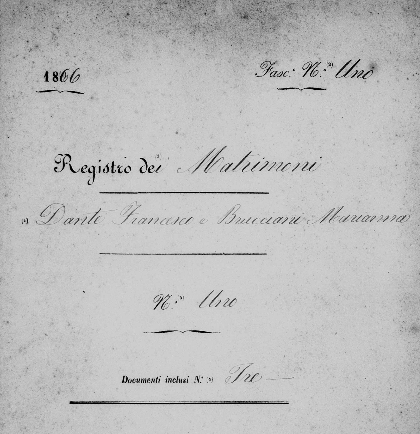 Francesco Dante was the son of Christopher Dante and Annunziate Bacci. The family moved to the village of CASTELVECCHIO PASCOLI, just a mile or so up the next mountain. Frank married Marianni Brucciani, in Barga on the 14th May 1966. Marianni was also known as Annie Theresa Dante Brucciani. She was the sister of our own Eletta Brucciani. The Dante family made their way to Rhode Island circa 1882. They were one of the first from our family to settle there. The Danty [Dante] family are documented as arriving in the U.S.A. when we find Francesco Dante with his son Enrico Dante, as being absent from their villiage and already in America. 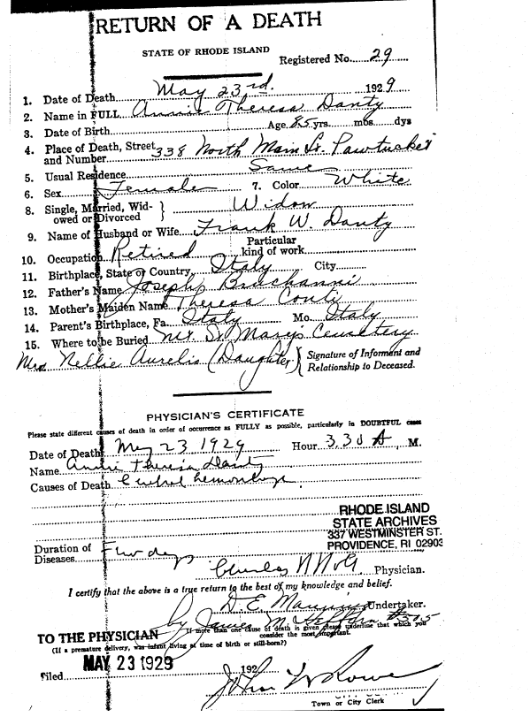 Other members of their family are documented here above. The year they emigrated was 1882 and their first destination we believe was Baltimore. They operated a fruit business for many years. Their son Pietro Dante was their eldest son and we know that he travelled the Atlantic Ocean on more than one occasion returning back home to Italy. The Fruit business was to be his chosen profession in Pawtucket and the family worked from several addresses over the years, although he was a confectioner and a clerk according to the yearbooks of the district. The Dante family resided for a while in San Francisco, the year 1920, but they returned to Rhode Island. When the Dante girls recalled their childhood, they did so with great vivid memories. In the year 1904 Frank died age 65. He is buried in Mt. St. Mary’s Cemetery in the town. Annie Theresa died on 23rd May 1929 age 85 years. Return of a Death of Annie theresa Danty or Dante. One of Frank’s daughter’s, married into the Aurilio family. This family originated in Borgo val da Tora, the Brattisani homeland.